Most college graduates depart campus with a degree in hand, invaluable experiences, new friends – and a mountain of student loans to repay as they begin their careers. Unfortunately, things just got worse for students nationwide. On July 1, subsidized Stafford loan rates doubled from 3.4% to 6.8%, despite efforts in Congress to come to an agreement and keep rates low. Paying for college has always been a struggle for middle and low-income families, and it’s just getting more difficult as tuition fees increase, less federal student aid is made available and interest rates soar. Most college students emerge from their years of study saddled with a formidable amount of student loan debt – on average, about $27 thousand worth. 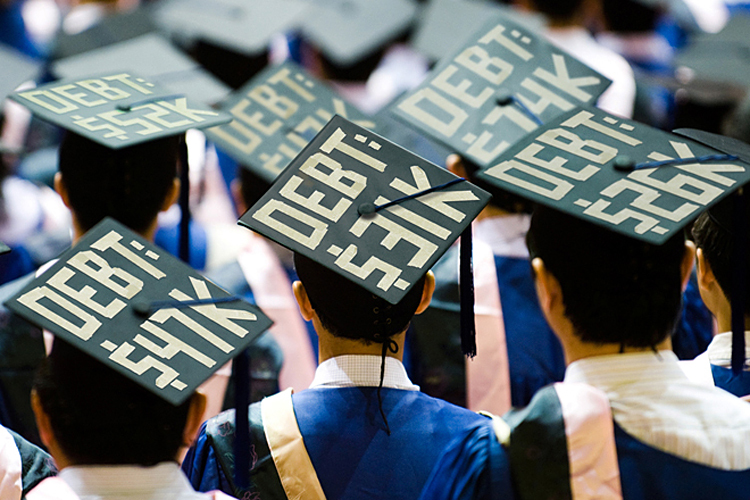 Nelson Mandela once said, “Education is the most powerful weapon which you can use to change the world.” If this is true, why has getting a higher education become almost synonymous with inheriting a world of debt? Research shows that it is disproportionately low-income individuals, women, people of color, and first generation Americans who carry this debt. But as the economy struggles and tuition rates continue to rise, more and more middle-class Americans must turn to high-interest student loans in order to afford their degree. The alternatives are few, and ending your education after high school is not much of an option if you want a career that pays at least a decent salary. The Bureau of Labor tells us that 57% of US jobs available between 2006 and 2016 will necessitate at least some type of postsecondary education. Last week, the Senate passed Senator Tom Harkin’s (D – IA) Bipartisan Student Loan Certainty Act, which lowers the interest rates for the 11 million student borrowers taking out new federal student loans after July 1, 2013. The bill instantly decreases interest for all borrowers – down to 3.86 percent for undergrads and 5.4 percent for graduate students. Rates for PLUS loans drop from 7.9 percent to 6.4 percent as well. Maximum interest rates in future years are capped at 8.25 percent for undergraduates, 9.5 percent for graduate students, and 10.5 percent on PLUS loans. But the implications of the bill are complicated, warn some youth advocacy groups such as Young Invincibles (YI). They believe that the Bipartisan Student Loan Certainty Act is more of a quick fix to score points for lawmakers than a long-term solution. According to YI, while the bill reduces interest rates in 2013 and takes pressure off of Congress, it leaves students susceptible to large rate increases in the future. Because the bill sets interest rate caps so high and enables them to increase at a rapid pace, many low and middle-income families may suffer overwhelming interest rate surges in upcoming years – making postsecondary education less of an option for struggling students while making the government a profit of $184 billion over ten years (according to the Congressional Budget Office). An amendment championed by Warren and Senator Jack Reed of Rhode Island that would have set the maximum loan cap at 6.8 percent instead of 8.25 percent was rejected, as well as Senator Bernie Sander’s amendment to require reauthorization of the bill after two years’ time. The Bipartisan Student Loan Certainty Act now moves to the House, where the bill’s supporters will attempt to achieve passage before the August recess. While the future of the student loan debate remains uncertain at present, the Senate will most likely revisit the issue next year as they work to reauthorize the Higher Education Act. In the meantime, student advocates and many in Congress will continue fighting for a better compromise that protects students from higher loan interest rates in the future as well as the present – and that does not allow the federal government to profit from student borrowers. 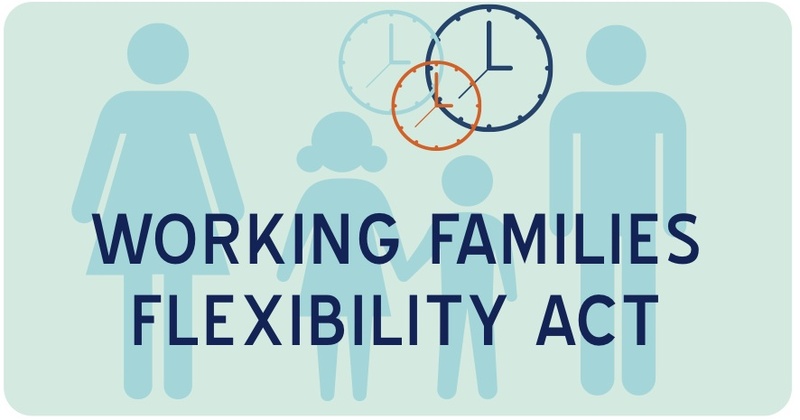 This week, the House passed the Working Families Flexibility Act of 2013 (H.R. 1406), introduced by Representative Martha Roby (R-AL). The measure, passed by a vote of 223-204 along party lines, seeks to amend the Fair Labor Standards Act of 1938 (PL-75-718) to give private companies the ability to offer employees the choice of receiving regular paid time off instead of overtime pay for hours worked over the standard 40 hours per week. Currently, employees in blue-collar jobs get time and a half for overtime hours worked. Rep. Roby is quoted in the Huffington Post as saying, “This is about helping working moms and dads, providing the ability to commit time at home.” She and other Congressional Republicans have led a PR campaign touting the bill as worker- and family-friendly, but workers’ rights advocates and Democrats in Congress hold a different view. Progressive advocates believe that H.R. 1406 is a “smoke-and-mirrors” measure that provides workers with a pay cut in order to give them paid time off without the guarantee of when or how they can use it. The bill also allows accrual of up to 160 hours of paid time off in a year. At year’s end, workers would be paid in cash for their unused comp time, but employers could defer payment of this sum for up to 13 weeks. Many advocates call this an interest-free loan for the company. In another twist, there is alarm that the bill could help eliminate of the concept of paid leave time altogether. Political Director for the United Electrical, Radio & Machine Workers of America Union Chris Townsend told the Huffington Post that he worries that employers could ask their employees to “earn” their paid time off instead of automatically offering them a package of two weeks of vacation time plus sick days. From service groups to union leaders, the progressive community opposes this bill, which would actually encourage employers to request overtime work from employees by making it a cheaper alternative to paid overtime. Neither is H.R. 1406 a good alternative for low-wage workers because it reduces their take-home pay, money which many low-income families rely on to make ends meet. A Statement of Administration Policy released Monday announced that President Obama’s senior advisers would recommend he veto H.R. 1406 if it came to his desk. There is little chance that will ever come to pass, however. Passage of the bill in the Democratic-controlled Senate looks highly dubious, as Democrats are almost unanimously opposed to the measure and have struck down similar bills twice in the past. Still, Republicans may seek to bring the bill to a vote in the Senate. On my way back from Colorado recently, my flight was delayed and I got stuck in Chicago overnight. Annoying? Yes. Life-damaging? Most certainly not. On the other hand, losing access to Head Start (a national anti-poverty program that provides comprehensive child development services to disadvantaged three and four-year olds)? That could really have a damaging impact on a young person’s life. A California study cited by the National Head Start Association shows that society receives nearly $9 in benefits for every $1 invested in Head Start for a child. These benefits include increased future earnings, employment, and family stability for the child along with decreased dependance on welfare, crime, grade repetition, and special education needs. So what would you suffer through to give these children back their Head Start program? I for one would gladly spend a night stranded in a strange city if that meant that a low-income child would continue to receive these benefits, even for a week. But that’s ridiculous! You say. No one is making a choice between one or the other. Well, that’s not necessarily true. Last Friday, Congress approved a bill to end sequestration-caused furloughs of air traffic controllers in hopes of getting flights back on track nationwide – and then they flew home for a week-long recess. This was a great move for people waiting in long lines at airports – but not so great for the millions of vulnerable people suffering deeply because of sequestration cuts – all of whom Congress ignored on their way out of the office. So who are these suffering people again? Along with those disadvantaged kids trying to get an education, they are the long-term unemployed, seniors trying to get home care and meal services, and low-income people on the verge of homelessness – just to name a few. In Florida, approximately 2,000 kids will be turned away from Head Start and Early Head Start next year. 80,000 long-term unemployed in Illinois will see their unemployment benefits reduced by 16.8 percent as of May 27. Wisconsin’s La Crosse County will start serving 6,000 fewer meals to home-bound seniors because of sequestration cuts. For some seniors, this meal is the only one they get in an entire day. A $1 million sequestration cut to the Salt Lake County Housing Authority will deny rental assistance to about 112 homeless/housing endangered families. So why is ending tiresome airport lines more pressing than helping a child get a good education or getting a poor family into a home that they can afford? Simply put: M-O-N-E-Y. Airlines are big money power players, and the travel sector was losing millions of dollars for each day of continued furloughs. Airline execs were chomping at the bit to get these pesky sequestration furloughs fixed before the summer travel season. “That’s a critical time for our industry,” says Erik Hansen, director of domestic policy for the U.S. Travel Association. He fears that the delays may have kept some international travelers from booking trips to the US. Of course, travel and tourism are good for the economy – and everyone wants to see the economy continue to improve. But keep one thing in mind: helping vulnerable people become active participants in the economy is crucial to recovery as well. Making sure that kids receive a good education and are put on the path to college early in life makes it much more likely that they will get well-paying jobs and contribute to the economy in a positive way. Keeping families off of the street enables parents to hold down jobs and kids to stay in school. Helping seniors stay healthy means less of an economic strain from emergency room visits. The list goes on and on. 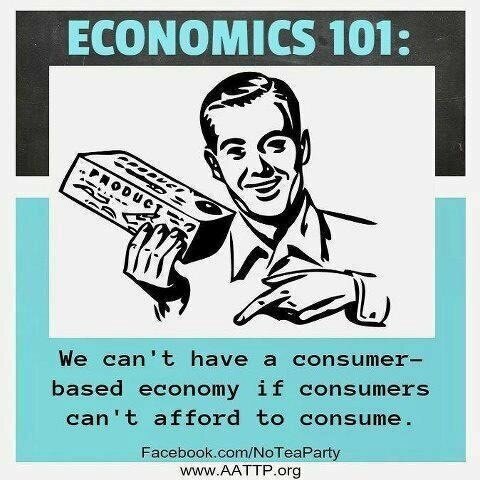 Do I have the answer to fixing all of the problems presented by sequestration while working to reduce the deficit? No. But I know that continuing to ignore the devastating problems it is creating for low-income people nationwide is not okay. I hope that our elected officials in Congress get their priorities straight upon returning from recess. To ask Congress to protect important programs for low-income populations, take action with the National Education Association’s Ed Flight Campaign or send this emailable letter from the Coalition on Human Needs.